It is a legal requirement to submit all fresh fish catches back to the association. The send button has been added ,when you have completed the form click the send button and you should be re directed to a thank you screen as below, if not we didn’t receive it please try again. Guys we are having returns sent in which are quite hard to read ,please only fill in the appropriate boxes on the form. If you were lucky enough to catch anything only use the corresponding boxes and leave the others clear. If you blanked this season you only need to fill in your name, membership (permit) number if known , email address which is optional (but beneficial in case we need to get in contact with you) the date and the word BLANK in the bottom box before you send it. You can still use the form in the permit and post it to the address below if you prefer but please ensure there is a stamp on the envelope. There is only two ways of sending your returns to us,either on line or through the post. Text and phoned in returns will not be accepted. 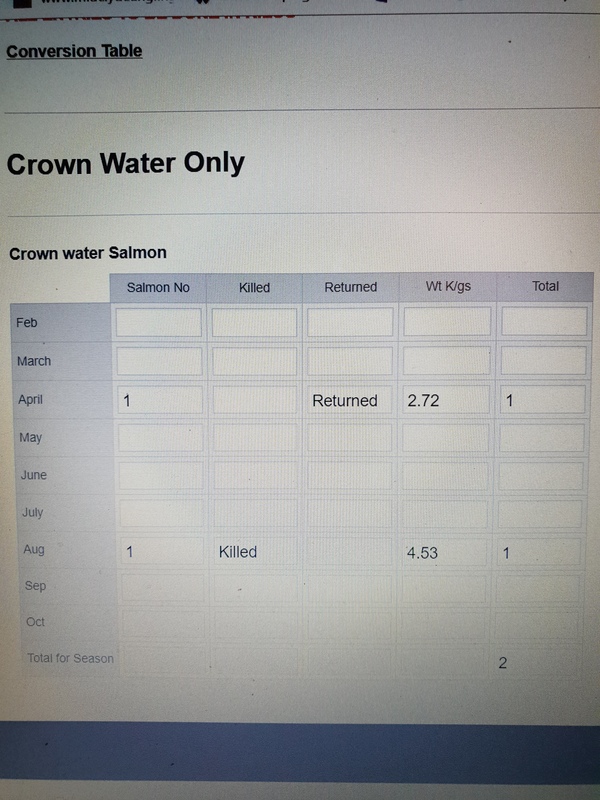 If any member has caught fish on the SLIGO BEAT their returns must be sent in to us no later than November 21st as they get sent away earlier than Crown water returns. CROWN WATER no later than November 28th. Please don’t wait and bring them to the AGM if they are not submitted by the above dates it will be classed as a non return. Thanks for that but you still need to send in your returns via the website or through the post.